May 4 has been and gone but Durham Brewery is still discovering customers in pubs far, far, away – sending 9,000 bottles of its beers to Taiwan. The 20-year-old firm, which celebrates two decades of brewing in August, will soon see it’s beers supped in the jiǔguǎn of south east Asia after being approached by an importer from the contested islands. “It’s our biggest export order yet,” said the brewery’s Elly Bell. “Taiwan is a growing market for beer, off the back of imports of craft beers from the United States. “But the tastes of drinkers in Taiwan aren’t as hoppy as customers in the US, and so they’re looking to slightly more reserved UK beers – and though we don’t really fall into that category, they’ve liked our raspberry wheat beer. Elly admits that the distance and language barriers have proven difficult, particularly with the most recent labels needing be in Chinese, but with the importer involved seeking out just four UK firms, the opportunity proved too temping to miss. 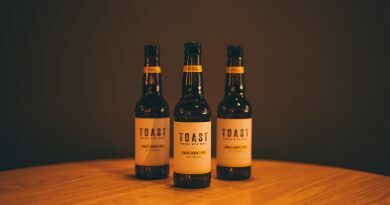 “I don’t search for export customers because we’re almost at capacity on the bottling side of things anyway,” said Elly, who has previously seen Durham Brewery’s beers head as far away as Australia, America and Canada. “And they found us, which will probably be down to Twitter, with them seeing beer writers talking about our beers, and our website looking pretty professional, so we probably look a much bigger company than we really are. “But this year is Durham Brewery’s 20th anniversary and so that shows that we’ve been around for a while and they know they are dealing with someone reliable. ← Could Free Trade Inn’s Tyne view be ruined?